I have long held the theory that if I just found the right biscuit recipe, I would be able to make flaky, delectable biscuits that my family would rave about. Over the years, I have sworn by this recipe and then that one. 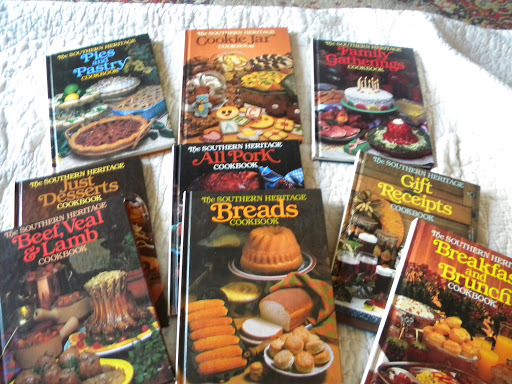 Among my cookbook collection, I have dozens upon dozens of biscuit recipes – my Southern Living Southern Heritage series alone has 95 recipes scattered throughout its eighteen volumes. The “Bread” volume alone has an entire chapter on biscuits, with subsections on beaten biscuits (5 recipes, including Maryland and Kentucky style beaten biscuits), yeast biscuits, basic biscuits (17 recipes, including 3 with ‘buttermilk’ in the name), as well as biscuits suitable to be served with tea. Both the beaten biscuit as well as the basic biscuit section feature picture tutorials with step by step how-to instructions. It’s not entirely about the recipe though, it’s about the ingredients and technique of putting those ingredients together. While many of the recipes I have call for all-purpose flour, one could assume all flour is the same, when in fact, all purpose flour differs from region to region. Southern all purpose flour is made with soft red winter wheat, which has a lower protein and gluten content than what is available in other regions of the country. I first learned this in conversations with my friend Mark down at city market this summer. He often sets up a stand, handing out samples and recipes of dishes made with local produce. We share similar interests in food and when he’s down there, I find myself engaged in conversations with him and other foodie types, discussing things like pickles and grits and curing your own meats and yes, flours. Turns out that while I was reading Game of Thrones on my summer vacation, Mark was reading about biscuits. Three books worth in fact. As a baker, I knew the importance of different flours – high gluten flour for pizza crusts that resemble the ones your favorite local pizza place makes, Cake flour for lightly textured cakes, pastry flour, whole wheat flour, rye flour, buckwheat flour and more, including just plain old bleached & unbleached all purpose flour, but even I did not know that flour was different from region to region, brand name to brand name. Interestingly enough, my older (1946 & 1964) copies of The Joy of Cooking both call for cake flour in their biscuit recipes, saying that it will make for a lighter biscuit. Nowhere else have I seen a peep about how the flour you use is a large factor in making your biscuits light and fluffy. There are differing opinions on how much to handle the dough, whether to knead or not, some say to roll it out, others say to keep the rolling pin far away from the biscuits. Beaten biscuits, which apparently are unbelievably light and fluffy are made by literally beating the biscuits for a good 20 minutes or until the dough starts to ‘blister’ and pop. With it being soup season, that means it’s biscuit season too. I made my first batch of biscuits the other night, using a technique I picked up from Rachel’s pie class I assisted with this past summer. She cuts her fat in in stages, handling the final crust as little as possible. This, combined with using a southern flour (which took visiting a few grocery stores, believe it or not, despite the fact that I live in Virginia, which is considered the home of the ham biscuit), resulted in what I think is hands down my best biscuit ever. They were everything you want a biscuit to be – light and flaky, excellent with butter and some blackberry jam for breakfast the next morning too. I think I have finally figured out the secret to a good biscuit – it’s not necessarily the recipe, it’s the flour you use and how you put them together. Really, so much to cooking is about the ingredients you use as well as techniques. Here’s my next goal – to figure out how to make a biscuit using whole wheat flour that is just as flaky and light as a biscuit that’s made of nothing but white flour. I know that whole grains are healthier for us and since a big part of my motivation in my food sourcing and cooking is so that my family eats healthy, nutritious food, I’m not comfortable with us eating home baked goods on a regular basis that only use white flour, especially the lighter versions with less nutrients. I have a few ideas about how I want to go about developing my own flour mixes, namely I’m going to try mixing some cake flour with some whole wheat flours and seeing what those results are. I’ve also gotten my hands on some lard, not from the grocery store, but from animals that have been raised humanely, not commercially. I’ve read good things about cooking with lard and I want to see for myself how they work in my biscuits and pie crusts. You are what you eat. Which is why I spend so much time thinking about biscuits, clearly. 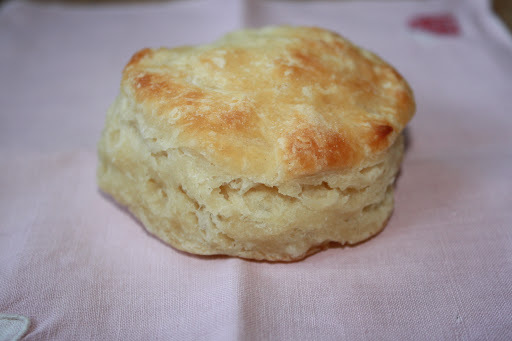 We're from NC and have a built-in craving for those fluffy wonders, but I seldom make biscuits now. Years ago, I made them almost every day and we gained about 10 pounds. With the meal; after the meal with honey or jelly. We had no willpower to resist! I believe you're correct about flours. A friend from Canada said she was a great baker there, but couldn't “do anything right” when she moved to Georgia. She switched to a local flour and success! Ohhh, lard! It makes a splendid difference. 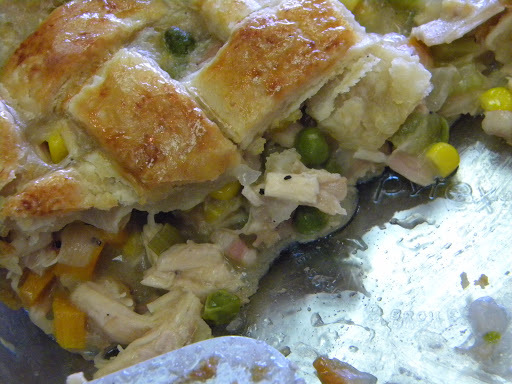 What it does to pie crusts is amazing too. I love love love using yogurt instead of milk/buttermilk for the binding. It adds creaminess to the biscuit and (whether it's because of the yogurt or generous addition of butter) the biscuits are always high, flaky and happy. I use Mark Bittman's recipe from How to Cook Everything and always go on the high side with butter. I like using yogurt as well. But I'd never thought of using cake-flour, which I don't normally have in the cupboard. 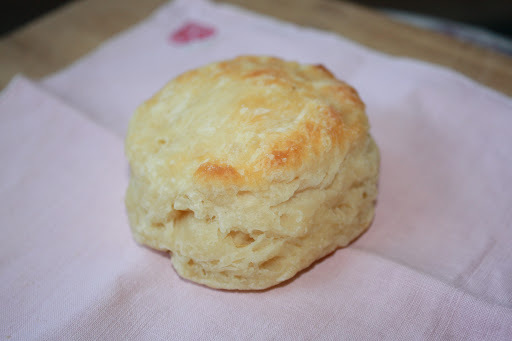 My daughter loves biscuits, and we've used Bittman's recipe as well. I'll have to get some cake-flour and give it a try. I don't make biscuits, but I'd eat them any time, anywhere with anybody. i haven't tried biscuits yet, but they're on my list. i have learned a lot about flour from reading orangette's blog, and she mentions her preference for white lily flour in certain recipes b/c of the high gluten content in southern wheat. i keep some of that around in my freezer, if i try biscuits i'll remember to use it. i do a lot of substituting of whole grain flours into my bread recipes, and i've had considerable success supplementing whole grain flours with vital wheat gluten when i replace white flour. lately i'm using the oatmeal sandwich bread recipe that's on the king arthur flour bag, which uses 3 cups bread flour and 1 cup oats. i've been using a cup of so of oat flour mixed with a couple tbsp of vital wheat gluten in place of some of that white bread flour, plus the oats, and the bread has come out very nicely–not quite as pouffy, maybe, but still with a nice soft texture and a decent rise. i think i'll try it with wheat flour next time and see how i like that. there's another oatmeal sandwich bread recipe from orangette that i use a lot, and i follow it as written except that i swap in a couple of tbsp of the wheat gluten along with the wheat flour that goes into it, and that bread comes out so pretty, and it smells unbelievable, with lots of whole grain in it.